If you've ever lost a small child in a busy department store, you probably remember the feeling of utter panic that clenches your stomach. You probably remember calling his name over and over, the intensity of your voice ratcheting up each time. Seconds seem like minutes and when you finally round the right corner and see your tyke's little head, even the relief of being reunited isn't enough to make you dismiss the incident as no big deal. It is a big deal. The founder of Filip Technologies understands--the company is the direct result of Sten Kirkback losing track of his little boy Filip at a shopping mall for 30 (surely terrifying) minutes. So he created a wearable mobile phone for very young children. It looks cute and fun, with its bright colors and rubbery wristband, but it packs some serious tech. 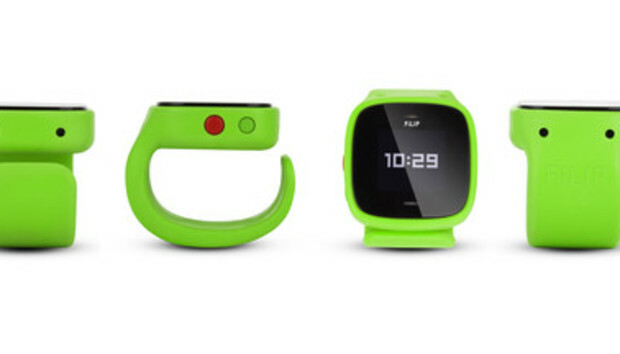 The FiLIP smart locator has assisted GPS along with GSM and Wi-Fi hotspot triangulation, so parents can pinpoint their child's location using the companion app for iOS and Android, whether the little one is indoors or out. You can also set up "safe zones"--geofenced areas like the child's preschool, home, the babysitter's home--and get an automatic push notification when the kid arrives or leaves. But it's not just a locator device. FiLIP is a real phone. (We even named it Best Mobile Product in our Best of CES awards...sorry-not-sorry, tablets and smartphones.) Parents can program five contact numbers: their cell phones, landlines, and even other FiLIPs, that their kids can call. Parents can call the Filip, of course, or send a one-way text message, but kids can't send texts. In fact, all the things your kids can't do are quite intentional. FiLIP doesn't let them text. It has no games or Internet. There isn't a USB port for charging, because you know they'd just pour apple juice in there or something. It uses a nifty magnetic charger instead, that snaps on to the back with a satisfying click. All this should help the simple, two-button FiLIP appeal to parents who want to keep track of their kids who are still too young for real mobile phones. Even the wristwatch form-factor contributes to this, since the child is less likely to lose it. An emergency button on the side of the FiLIP, when held down for three seconds, sends a push notification to the parents while placing a call to the primary contact. If there's no answer, it keeps calling all the numbers until someone picks up. FiLIP is available now through AT&T for $199, plus $10 per month for unlimited voice and data. We plan to review it shortly to see if it's worthy of the most precious people in your life.